Spotted this January sunrise on my way to work this morning, loved how the light was peeking through the trees. Thanks so much for your comments and favs on my snowflakes from yesterday. I think I might try to capture another snowflake while they are plentiful!! You live in the most picturesque place! So beautiful! FAV. Gorgeous lighting! I love it! This is stunning! The light, the shadows...fav! Nice find. The shot is so beautiful, but it looks soooo cold! Now following. Love your profile store. Stunning light, love the golden colour. What a beautiful sunrise! Lovely light. kathy, this is awesome, colour, composition, etc. awesome all around! Oh wow Kathy! HUGE FAV! love the shadows on the snow in the front; actually, every layer in this photo holds interest of its own. Your image is magnificent! WOW! Beautiful golden morning. Really nice shot. This is absolutely stunning Kathy, amazing golden light. Nature at it's best!! FAV! Absolutely gorgeous, the light is stunning. Fav. 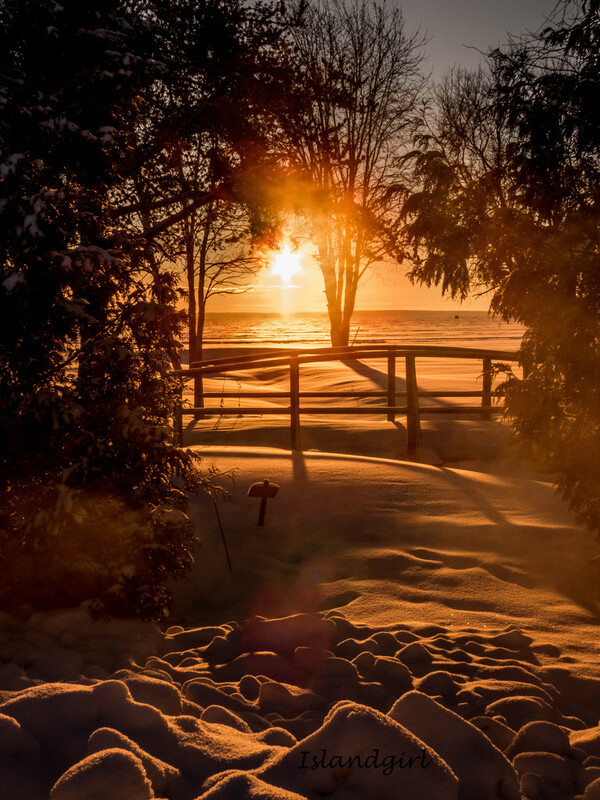 Gorgeous light and golden snow, fav! Congrats on TT - fav! Congratulations on finishing in the Top Twenty Kathy! I am so glad this one made it! Amazing scene, Fav and congrats on TT! I just saw this one and it made me drool and made me want to be a a better photographer! Beautiful without end. congrats on top ten, kathy! way to go! Great shot. Congratulations on top twenty. missed this one, how lovely!! !